clothing | The World of K.W. All in a weekend……..I’m up late waiting on my laundry to finish, and so I thought I’d share with you my recent weekend adventures. It all started with a bachelorette party on Friday night for my friend Jacqui. I don’t think I am allowed to share much of what went down that night, but I can tell you it was memorable and I’m laughing at the memory of it as I write this. 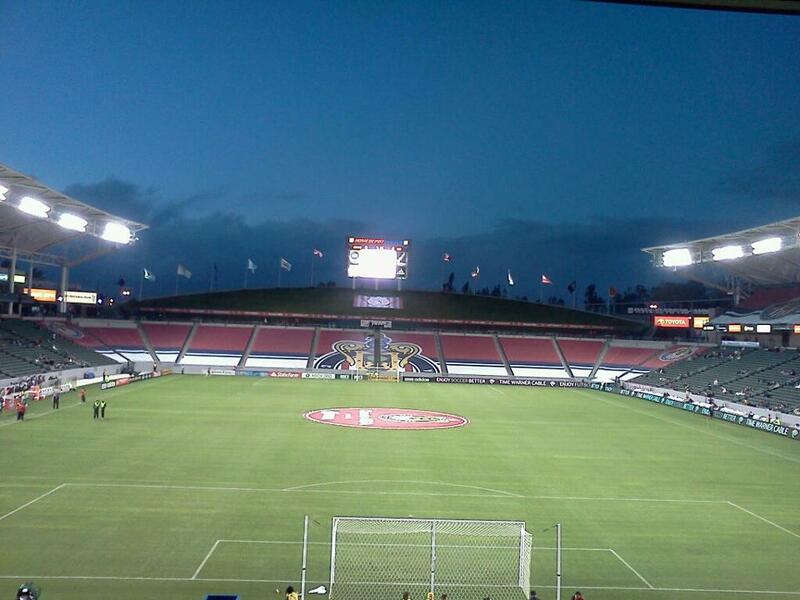 Saturday was exciting because I saw my first professional soccer game; Mexico vs Canada. I was so lucky to watch from the owner’s box and take it all in. I met the owner’s of the Chivas (Mexico) last year and was thrilled to get the invite to come and see their game in Los Angeles. Of course LA had crazy wind and rain that night (which almost never happens) but I think everyone still had a great time. I know I did! Sunday was special. I went to a 3 year old’s birthday party for a little boy named Sawyer. I was surrounded by little tinys running around and playing and struggling with the idea of sharing toys. It was hilarious!! I met one little boy named Jonah (aka, Jonah Bear) who’s hello hug started with a cough in my face but who proceeded to be a complete gentleman at age 3 and excused himself and then hugged me saying “nice to meet you.” What can I say to that? Adorable! Sunday night, however, was the whip cream on my sundae! Fashion Week LA! It was the last night and ohh what to wear? Los Angeles was still raging with wind & rain, and so what to wear took way too much time. I settled on something I ended up loving. I went vintage. I purchased a pair of 1940 aviator sunglasses at a Vintage Fashion event in Santa Monica last year and so they became my starting point. My 2011 trip to South Africa was on my mind and I think it’s memories found their way into my outfit for the night. I found a jacket from Banana Republic that I love; lined with silk and fabulous crest buttons, and the outfit grew from there. I must have been in a “finely taylored” type of mood. Topped it off with a small vintage Celine bag I rarely get to use, and waalaa! My weekend was extended into Monday because of the wedding of my friends, Wesley & Jacqui. It was a beautiful day filled with love & new memories. It reminded me that love has many definitions, but when it comes to relationships, it’s success has a lot to do with giving and forgiving. A giving love will come full circle. Simple & sweet, really…goodnight.